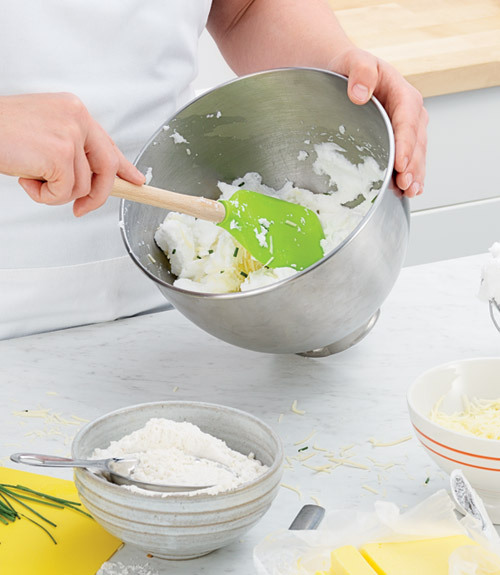 This spatula features a nylon core in the large silicone head, that delivers a spatula rigid enough to tackle heavy mixing jobs, yet still flexible on the edges to give you the perfect scrape. The wood handle appeals not only to the traditional cook, but looks amazing in any kitchen. The ergonomically-shaped handle allows for a comfortable grip; making it perfect for mixing, folding, serving, spreading, scraping, and flipping. The completely smooth surface allows for even spreading, while the edges are tapered to a sharp point to scrape sides clean. The square corners allow the spatula to fit into tight spots.